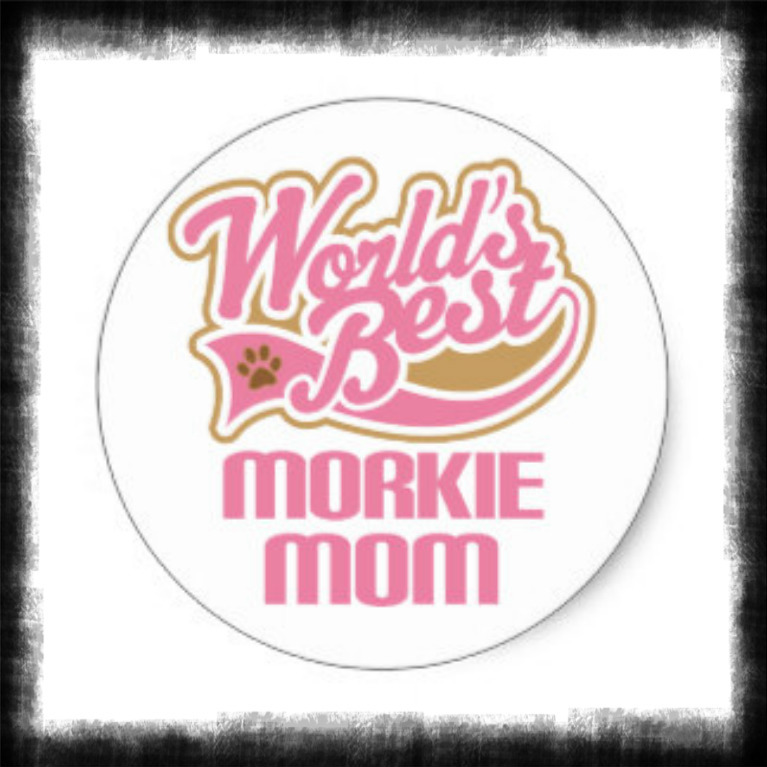 All about the Morkie breed…. How long can I leave my puppy at home alone for? Dogs who eat poop: How to stop it. Surprising reasons your dog should sleep on your bed every night! This is what happens when the Pavement is too HOT for your dog! Do NOT take your tiny puppy to a DOG PARK! 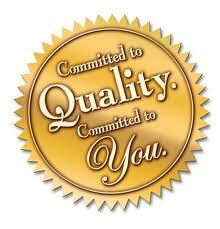 * THE BEST OF THE BEST AND NOTHING LESS!! Our Morkie Babies have become very high in demand….so we have great news! 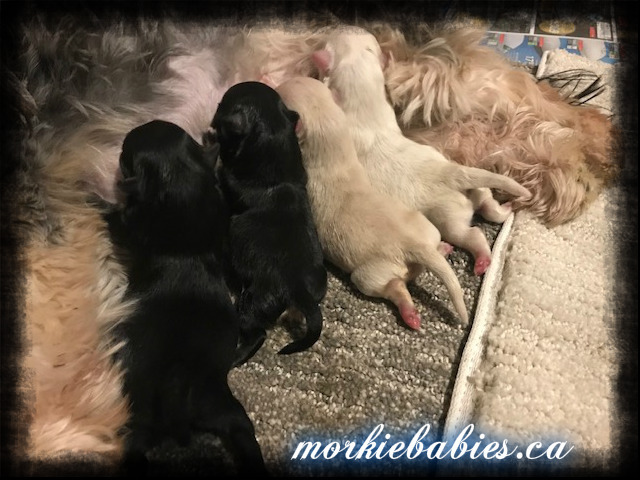 We have 2 litters due out of our Beautiful Black/Blue/Gold Yorkie stud and…. 2 out of our Gorgeous White Maltese stud! OUR WAIT LIST IS NOW OPEN TO RESERVE…Those who forward their deposits now get first priority. In this litter, there were two Classic Black & Tan, one Caramel & one White & Cream. 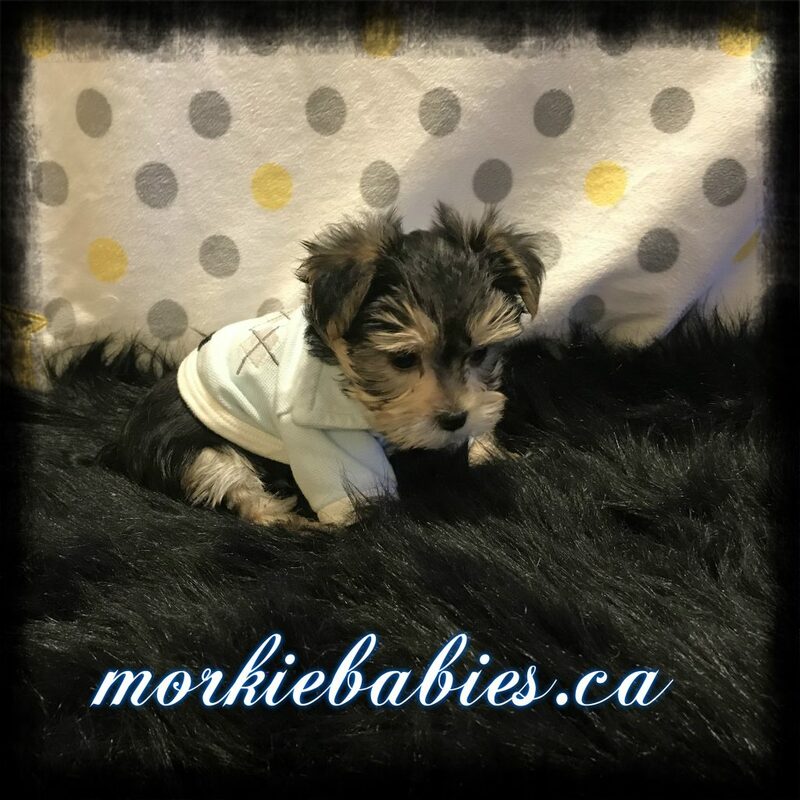 As most people know our “Morkie Babies” are reserved well before they are even born. 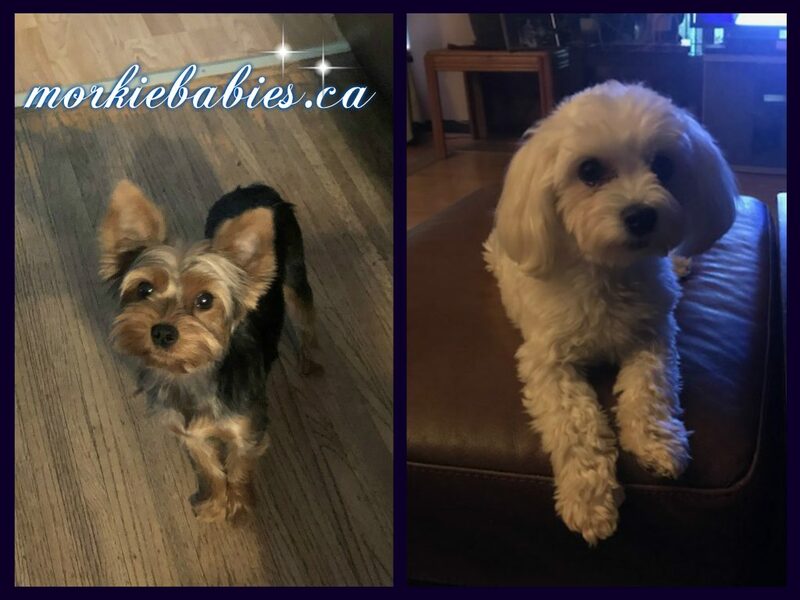 Our wait list for our Morkie babies that we have planned for summer of 2019 has already begun. “White & Cream”, as well as “Classic Black & Tan” colors offered to Pet homes that fit our Criteria. In order to get on our wait list please fill out our puppy Application. If you are approved you’ll be asked to place a deposit, to secure your place in line, and reserve your puppy. Our Precious babies are delivered straight into your arms when we meet you halfway between us and you! Our puppies are never ever shipped!! Our Sassy is confirmed with Morkie babies. We are due June 2nd and are now taking reservations! We will only accept 2 more names. Expecting White & Cream Morkie babies. ❤️ Only to Pet homes. 1st pick~Reserved for Charmaine of Delta, B.C. 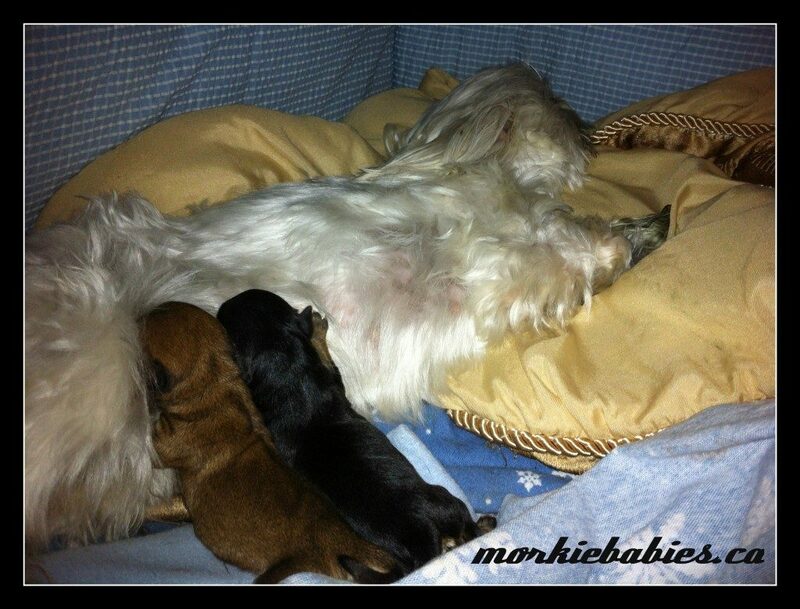 Our Misty is confirmed with Morkie babies. This will be her first litter. We are due June 19th, and are now taking reservations! We will only accept 1 more name! Expecting Tri colored Morkie babies. (Black, Tan & White) ❤️ Only to Pet homes. 2nd pick ~Reserved for Ester of Campbell River, B.C. The first way to purchase a pup is to send me an Application on our website. At that time, IF you are approved, you would then need to forward a $400 deposit for next Available puppy. 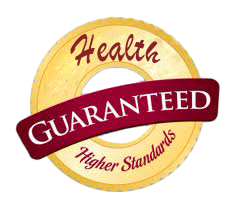 Once you have left a deposit, I will forward you my One Year Written Health Contract. This Guarantees you a Healthy puppy, Vet checked with first Vacccine. My Guarantee also serves as a receipt for your deposit. Once you have sent a deposit, you will be guaranteed a pup from one of my next two litters. When you leave the deposit, it will be dated and that determines your pick. You will be told of the future litters and when to expect your pup. The earlier you leave a deposit the higher on the list you will be. I will not accept more then three deposits on a litter. Once I have reached that limit I will tell you that you could be on the very next litter or the one after it. It’s considered next Available pup. The deposit shows me that you like what you see, you’re serious about a pup and you’re willing to wait. As far as the gender goes, the higher up the list you are the more you will have to choose from. may also move to another litter. 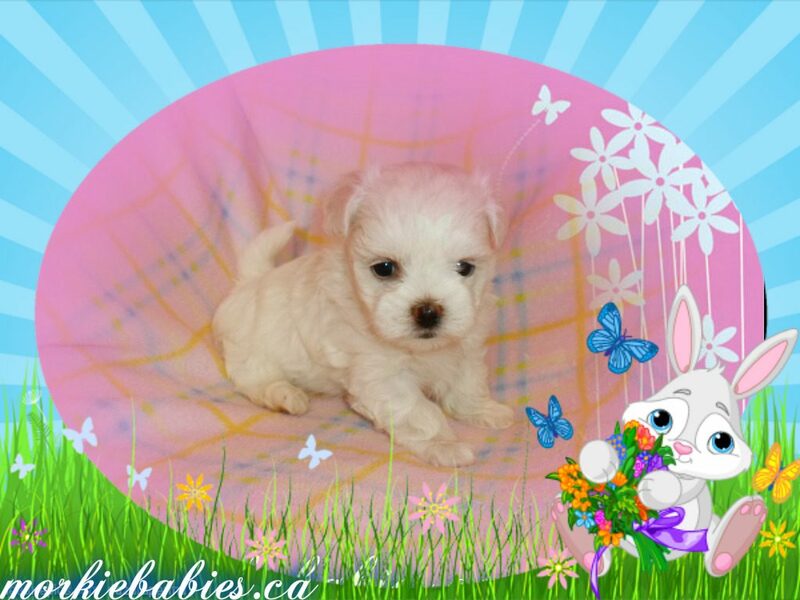 At Morkiebabies.ca….we produce Quality Morkie puppies of all colors! We are accepting applications now for our upcoming litters on our APPLICATION PAGE. 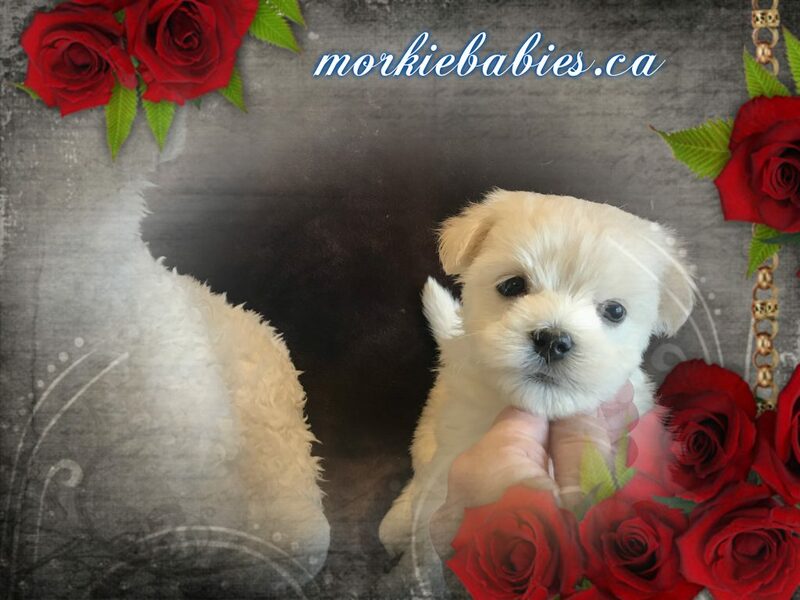 We will have Gorgeous little Morkie babies available for Summer of 2019! We are expecting colors of Classic Black & Tan as well as White & Cream! Our puppies are true Teddy Bear Morkie Babies….fluffy, affectionate, cuddly and full of puppy kisses! 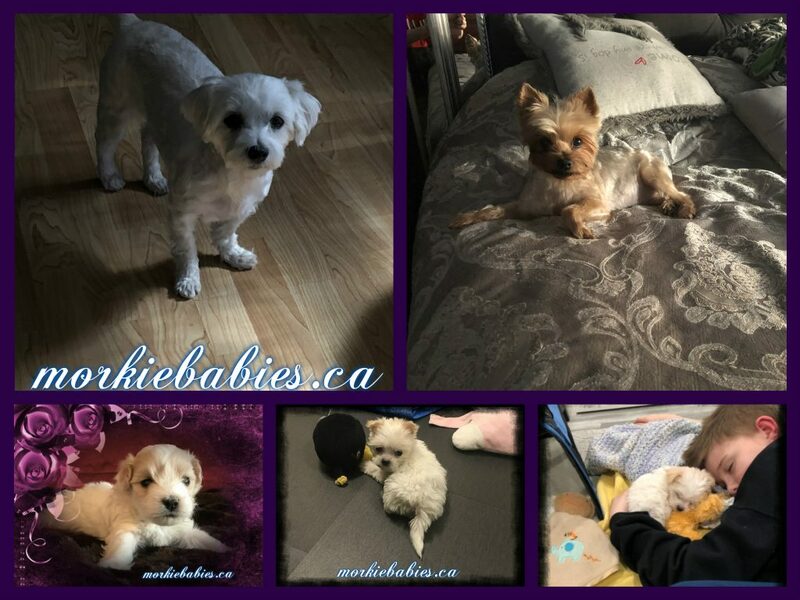 If YOU are interested in having the opportunity to have one of our Precious little Morkie babies for your own, then please feel free to send us in an application, which is posted on our website. A deposit of $400 is required to reserve one of our darling Morkie Sweethearts!! All serious inquiries will receive an answer within 48 hours. 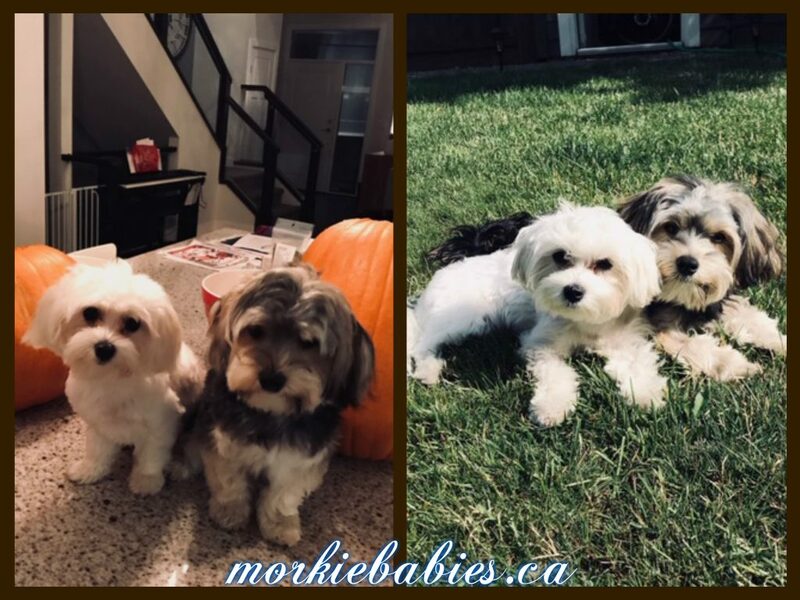 Copyright © 2019 Morkie Babies. All rights reserved. This function has been disabled for Morkie Babies.